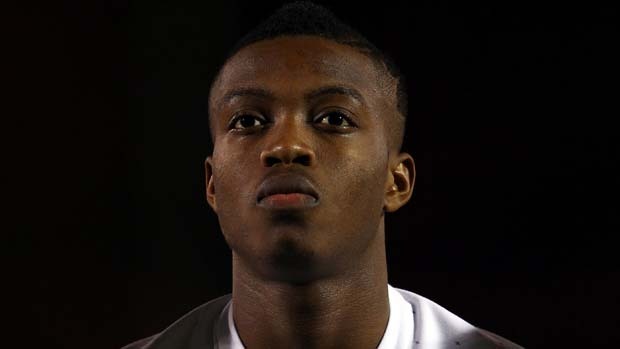 Nat Chalobah has a bright future ahead of him at Chelsea. After going a goal behind against Croatia in their opening game of this year’s European Under 19 Championship, England hit back immediately through Chelsea youngster Nathaniel Chalobah to spare a draw. Domagoj Pavicic’s 57th minute effort from just outside the 18-yard box opened the scoring for Croatia but Chalobah found the corner of the net three minutes later to deny the Croatians three points. Another man denying the Croatians anything but a draw out of the game was England goalkeeper Samuel Johnstone who pulled off a number of fine saves throughout the game, in particular from efforts from Danijel Miskic from inside the penalty box. Everton’s Ross Barkley had debatably the best chance of the game when he struck the post after 48 minutes. In the other games on matchday one in England’s group, France thrashed Serbia, 3-0 with goals from Richard Samnick, Paul Pogba and Thibaut Vion and Aleksandar Mitrovic was dismissed for the Serbs. The hosts didn’t get off to the best of starts as they went down 3-0 to Portugal. Artur Pikk’s own goal, Betinho and Daniel Martins grabbed the goals for the Portugese. Elsewhere in that group, Spain got off to a bright start beating Greece, 2-1. Real Madrid duo Jese Rodriguez and Derik Osede scored for the Spaniards whilst Dimitris Diamantakos pulled one back for the Greeks.